Which Comes First? The Copy or the Design? Different agencies work in different ways: some want the copy up front, while others provide a template “look” first and then build the copy based on the template. Which should come first: the copy or the design? What Does a Modern Web Writer Look Like? My inbox today contained a great infographic titled The Perfect Anatomy of a Modern Web Writer. 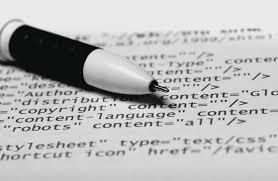 It explains what we, as web writers, need in our arsenal as professional writers, as well as demonstrates what to look for when hiring a web writer. So I thought I’d share it. Outstanding Copywriting Ability. Copywriting begins with knowing your customer’s hope and fears, her principles and problems…and then figuring out how to help her achieve her goals and ease her pains. Storytelling Skills. Storytelling creates a narrative that spellbinds people. There’s no debate: the best web writers are also the best storytellers.